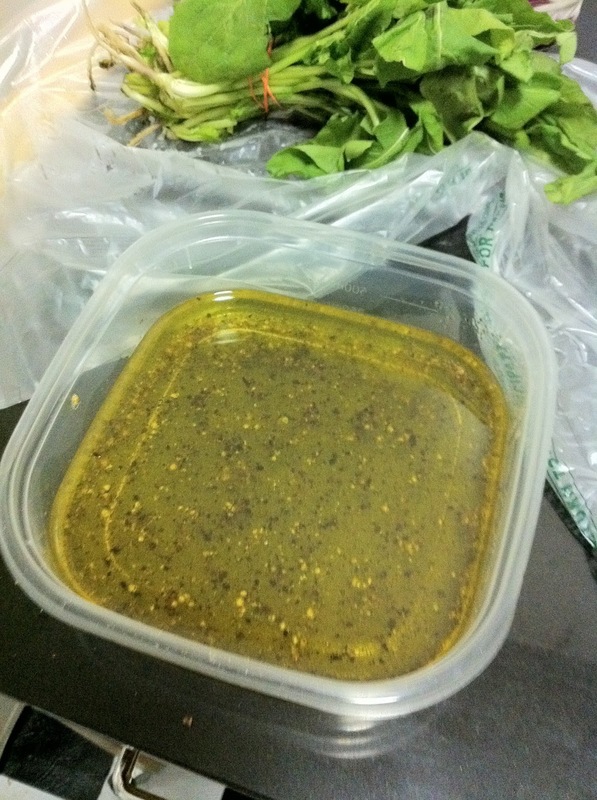 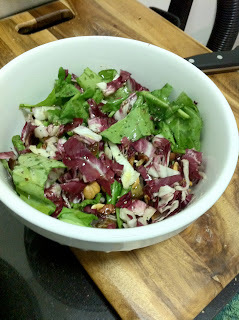 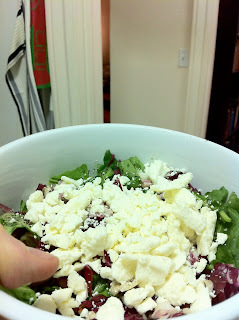 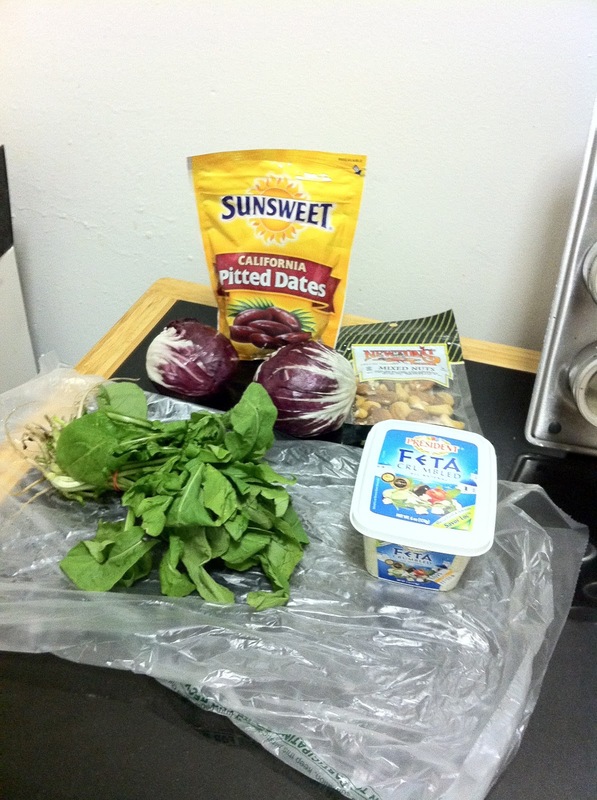 For this recipe I made a variation of a recipe for radicchio and arugula salad I found on Epicurious. 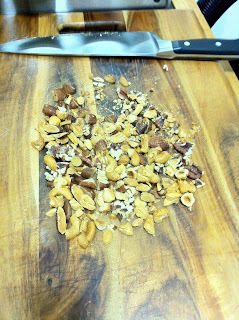 Instead of hazelnuts I opted for mixed nuts and instead of balsamic and red wine vinegars I went for cider and white wine vinegars. 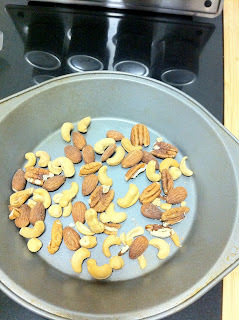 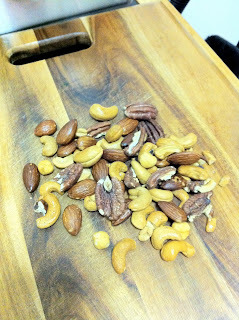 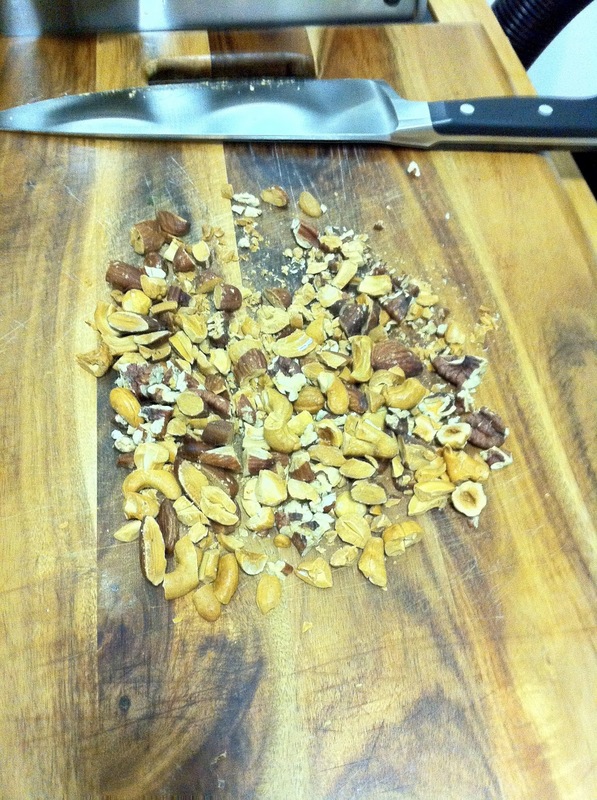 Place the mixed nuts on a roasting pan (or in this case a pie tin) and bake for 20 minutes or so. 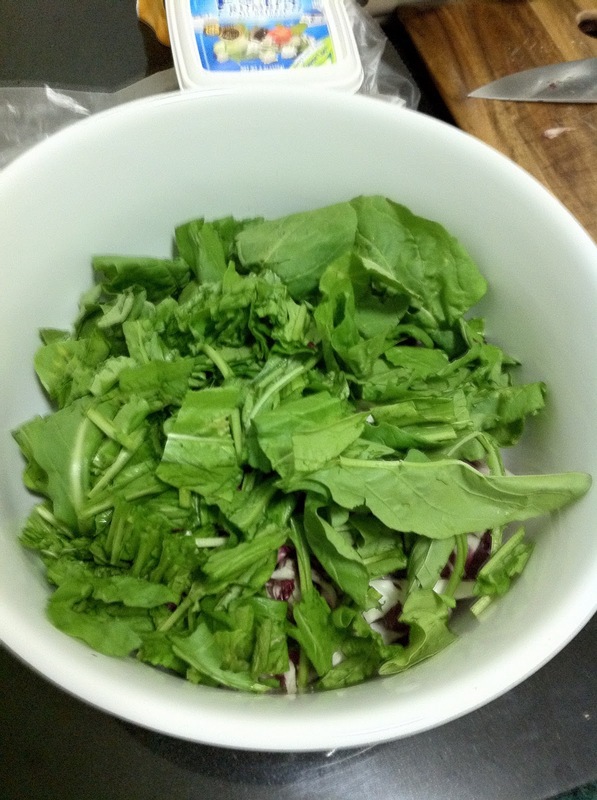 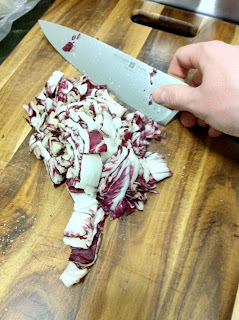 Give the arugula a nice slicing after you give the radicchio a rough chopping. Add some feta and you're done! 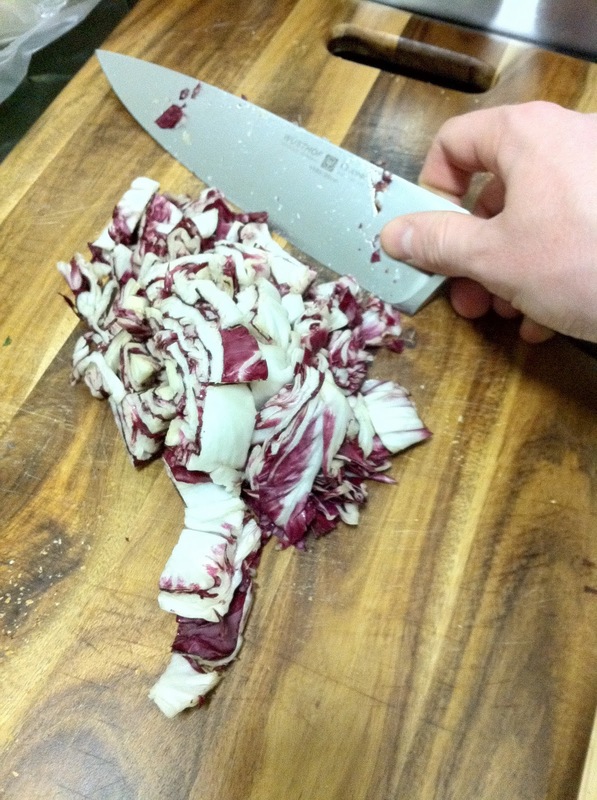 I have to add that in November I took a course on knife skills. 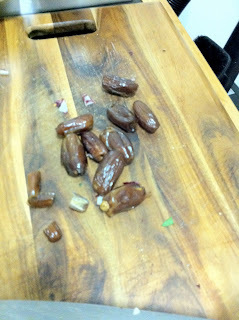 I'll write about that soon.